Hippies stole my blog! *: Toronto-centric rewriting of Canada's rock history. Toronto-centric rewriting of Canada's rock history. 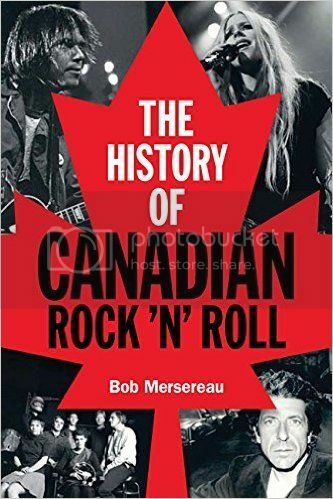 You might want to get this new Backbeat book "The History Of Canadian Rock 'N' Roll" by Bob Mersereau. After all it covers such worthy groups as Toronto's Ugly Ducklings and Paupers, and Ottawa's Esquires and Staccatos. Unfortunately the framework of the 'story' being told is pretty much a latter day fabrication. Rather than Toronto playing an actual anti-Rock anti-Canadian music stance (eventually necessitating actual laws forcing Canadian radio chains headquartered in Toronto to play a percentage of home-grown recordings after a decade plus long foot dragging), it all starts you see with white doo-wop groups in Ontario covering black U.S. groups in a sometimes exaggeratedly chipper manner and 'creating' hits with borrowed song, and then Paul Anka partly based in New Jersey with his originals like Puppy Love and Put Your Head On My Shoulder. I'm sorry but as popular as these white doo-wop and crooner pop tunes may have been at the time they are not Rock & Roll to me. It's almost hilarious to see only at the tail end of Chapter 3, subtitled 'The Whole Country Joins In,' what was happening in Vancouver with Les Vogt & The Prowlers, The Stripes, The Nocturnals, or Aragon Records get mentioned at all (oh, sorry, the last three never do), and the date 1956, at least that is given, might stick out in contrast to the entire preceding chapters for any reader paying attention. Let me fill you in. Toronto media may have supported a few local clean cut white almost piss-takes of doo-wop (Crew Cuts, Four Lads), but it wasn't until maybe 1959 when any actual sound of Rock & Roll made it to their Canadian owned radio and tv (probably Ronnie Hawkins). The Chum chain in particular was known for throwing Canadian rock singles into trash cans in front of their producers into the early 1960s! The story of Rock & Roll in Canada belongs entirely to some key stations in Vancouver (especially via DJ Red Robinson), Winnipeg, Ottawa and Montreal and as many smaller ones in other places. Toronto groups like The Consuls never got their record played by the big Toronto stations. Even Windsor Ontario's CKLW radio/tv behemoth was a very late convert. And outside of Toronto groups? Why it just wasn't possible anything worth hearing could come from there... at least until Winnipeg's The Guess Who started charting in the U.S. in 1969. It took a feisty Australian, Ritchie Yorke, to write a real history of a real Rock music scene in Canada with "Axes, Chops & Hot Licks" way back in 1971! He also helped bring about the Canadian content regulations to address the very real anti-Canada and anti-Rock arrogance of the powers that be in Toronto. Imagine Canadian airwaves having to be forced to play the music of it's own audience! It was taken as an extreme outrage by the suits at the top of course, they knew a hit only could come from New York or maybe Los Angeles. People like Yorke, Walt Grealis, Duff Roman and Bernie Finkelstein fought Toronto for years with minimal resources and deserve more than footnote status in any book purporting to survey such a history. There might in fact have been no Rock 'N' Roll history to write past 1971 had the big TO maintained it's grip more viciously. Canadian rock groups of the 1950s and 1960s deserved far better treatment than they actually got from big town bullies in Toronto, and that should be the main story of at least the first three chapters of this current book. Yorkville musicians and clubs in particular had almost everyone against them in 'Toronto the good'. People who had top leave that scene under constant siege went on to make it in spite and in exile so latter day Toronto-centrists could bask in the reflected glow of Neil Young, Joni Mitchell, The Band, Steppenwolf, David Clayton-Thomas, glows they mightily worked to have snuffed out back in the actual pre-revision day. Backbeat has published some excellent music history books in the past, unfortunately this is one of the lesser and more flawed entries in their catalog due to severe omissions and some common basic ignorance. It's Toronto that comes in at the tail-end of the story of the early years of Rock in Canada, well, except as chief nemesis of the actual and historic producers and supporters of Canadian Rock music. If we're going to give prime time to super scrubbed up doo-wop cover groups and crooners then maybe there could have been more on the Maritime folk music scene too, but for a book titled Rock 'N' Roll the lion's share should really have gone to actual Rock groups of which les Vogt & the Prowlers on stage in Vancouver were an example of in 1955!!! The Bear Family label in Germany knew this in 2003 with two CD collections of Les Vogt & The Prowlers and Real Gone Aragon (on the Canadian label established in 1946, while eastern label Quality records was content to simply license U.S. recordings). The Vancouver Record Collectors Association and Michael Willmore knew before that, issuing four great albums of historic Canadian Rock sides sans any cultural grants. Too bad those in eastern offices missed so much of the reality when it happened all over the country. Further in there is also way too much about Leonard Cohen and Diana Krall for something labelled Rock History. I don't know just how I stumbled upon this posting on your blog, but I'm glad I did. I just borrowed Bob Mersereau's book from the library. I'm up to chapter 3, titled "Shakin' All Over," so presumably we're going to get into The Guess Who and their breakout song. As you noted, there has been very little said about actual rock'n'roll so far, apart from another re-hash of the white vocal groups and Ronnie Hawkins bringing rock'n'roll to Toronto - and thus Canada! - myth, with a few paltry asides to indicate that there might have been some other local activity. The problem is that the authors who write these books often do very little first hand research, and know little or nothing about *country* music (they are rock writers after all!). As a consequence, they don't know that there was a lively country scene in Canada (yes, even in Toronto the good...), which gave rise to rock'n'roll in much the same way as it did in the U.S. Some of the older country performers decided to throw in some of that newfangled boogie stuff, and kids who had grown up loving Hank Williams, heard R&B and country on the radio, and seen Elvis on TV got into the act. The border was no more impermeable then than it is now. I guess they don't know this, because they don't really know much about early rock'n roll, and the cockroach of the music industry, rockabilly. Maybe this is because they are rock writers, who like serious *rock*. Not that crazy sh*t you can dance to. Or maybe it's hard to write when you can't sit still! Books like Mersereau's are based on Yorke's "Axes, Chops and Hot Licks" because there was nothing before that. Unfortunately, because Yorke's book used a very limited and Toronto-centric narrative, Mersereau's tome ends up being that way too, even though he is based in New Brunswick. Maybe the history of Canadian rock is just too rich for a single book, and you're better off going with more specific books like Liz Worth's "Treat Me Like Dirt" or Sam Sutherland's "Perfect Youth." You are certainly right about the title of Mersereau's book being a misnomer. It should be "The History of Canadian Rock," because there's much more of that than real rock'n roll in there. I suppose "singles" goes with his previous book "The Top 100 Canadian Albums," and sounds better than "Top 100 Canadian Songs." Anyway, as I always say, these books - flawed as they may be - have the distinct advantage of existing. The downside is that more people may believe the same old inaccurate story. The upside is that others, like you, may look into it more, and find out more about the many other fine Canadian artists. The ones that aren't mentioned in the books. Yet. P.S. : The idea of having Canadian content goes way back. The July 11, 1953, issue of Billboard mentions that "a proposal to boost Canadian talent by requiring minimum amounts of Canadian broadcasts" has been dropped. Too bad! Can you imagine what the history of Canadian rock'n roll would look like if there had been Canadian content regulations starting in the fifties? Thanks for the comments Marc. Richie Yorke's "Axes, Chops and Hot Licks" did do a decent job of covering the entire country I thought; a lot of the band profiles and interviews were from his articles for magazines and papers so a number of years are behind it's creation. Something titled "Shakin' All Over" compiled by Peter Goddard and Philip Kamin circa 1989 is an updated overview along the same lines. It was stumbling across an old Paupers single on the Roman label that got me really going on discovering Canadian rock music from the '60s and earlier, followed by checking out the "Before The Gold Rush" book about Yorkville. If writing about ancient Egypt why would anyone want to leave out say pharaohs before the pyramid builders or Cleopatra? My father was a teenager in the 1950s and he was around for and aware of that Hank Williams to Elvis progression. 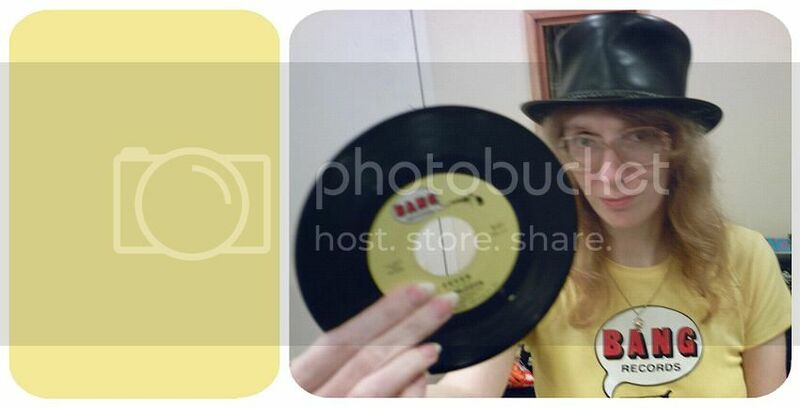 He still sings and plays guitar and keeps a large selection of Wilf Carter and Hank Snow on vinyl/shellac! The German Bear Family label is rich in obscure North American recordings of a western bop and cowboy boogie nature, and one titled "Real Gone Aragon" gives a great sampling of Vancouver's Aragon label rockabilly productions including Les Vogt. There's really little excuse for ignorance these days with Canadian reissue labels like Pacemaker, Super Oldies and Regenerator/Neptoon documenting and enabling us to hear some of the rarest non-U.S. label Canadian artists of the past. Well, while we're on the subject of western bop and cowboy boogie, the series of Canadian country compilation CDs issued by the British Archive of Country Music should not be overlooked (4 volumes, plus one on the Mainstreet Jamboree). They also released single artist CDs by Luke Simmons, The Calgary Kid, Donn Reynolds, Earl Heywood, Evan Kemp, Hal Lone Pine, Hank LaRivière (aka Hank Rivers), Keray Regan, Stu Davis, and Jack Kingston. So there really is no reason to ignore that part of our musical history. Great tip, I know of a couple of the artists you name but not the others. That Canadian Country Vol. 4 collection looks good, my Dad saw The Rhythm Pals live a few times. Thanks! I have yet to read a decent history of Canadian rock and roll. Vancouver's scene in the 60's was as vibrant and rich as that of San Francisco and LA. Vancouver bands like Painted Ship and Seeds of Time were releasing killer singles and making a good living playing clubs and concert halls but few authors cover this location. Even worse is the coverage of Quebec artists at the time, of which Pagliaro remains arguably Canada's finest songwriter. He continues to rock and roll in concert throughout the province and shows little sign of letting up. Canada's media and authors rightly concentrate on Toronto as it is the epicentre of the music business but I've always found, other than exemplary rock and roll bands like the Ugly Ducklings, most Toronto bands tend towards pop and folk and not so much gritty rock and roll. But that's the way we were brought up. Us older folks grew up watching bands like the Collectors, David Clayton Thomas and the Guess Who playing other bands material on TV. It wasn't exactly an industry promoting homegrown talent. So it's good to see at least Ontario bands getting some historical love. But rock and roll, at least in the 60's, was at his most raw and cutting edge on the left coast and in French Canada. You don't read nearly enough about those hotbeds of Canadian rock and roll. Worse yet, nobody seems to care.